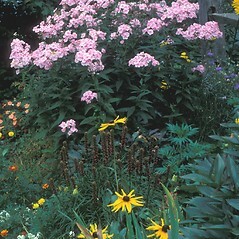 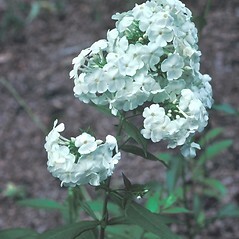 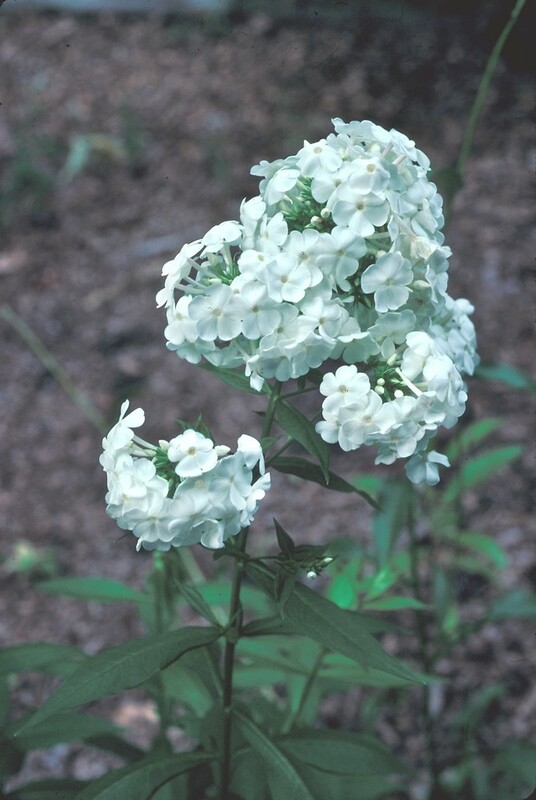 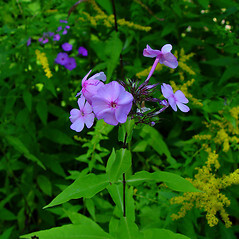 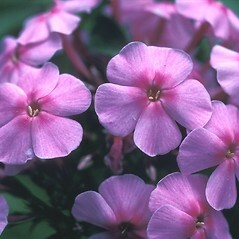 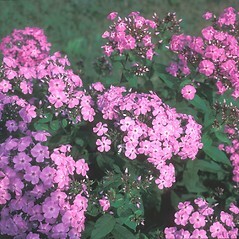 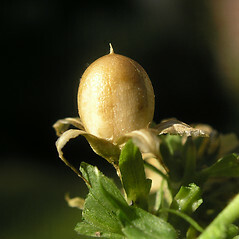 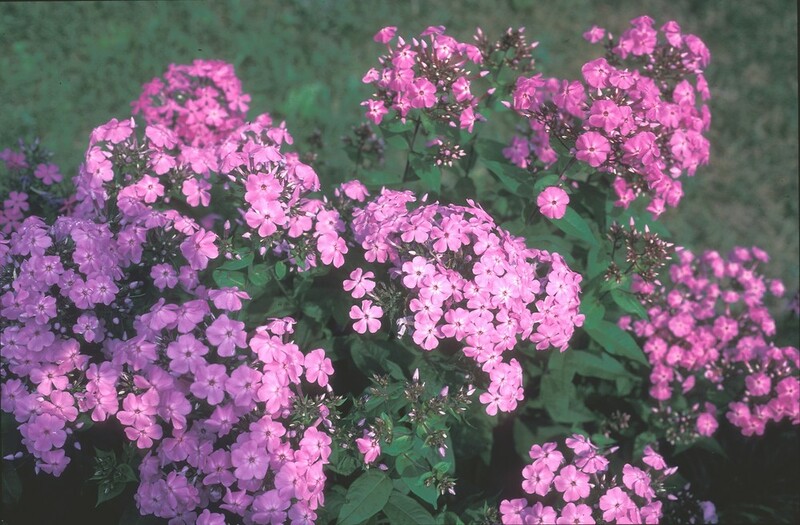 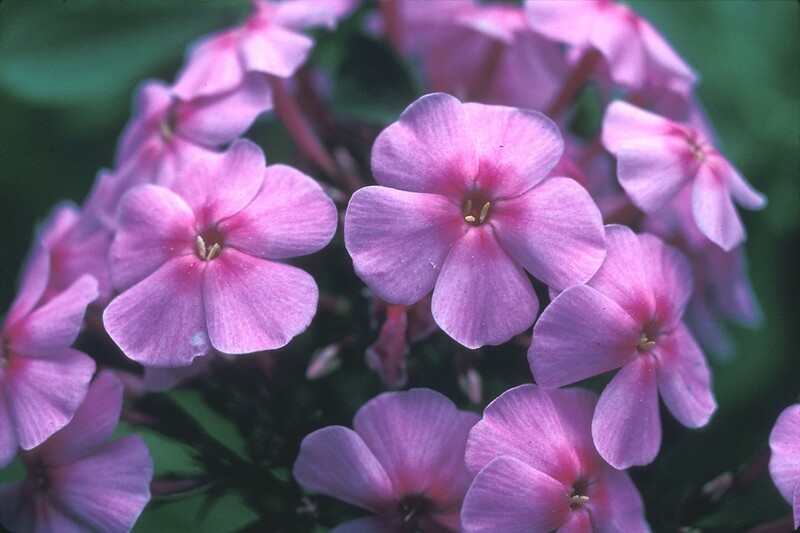 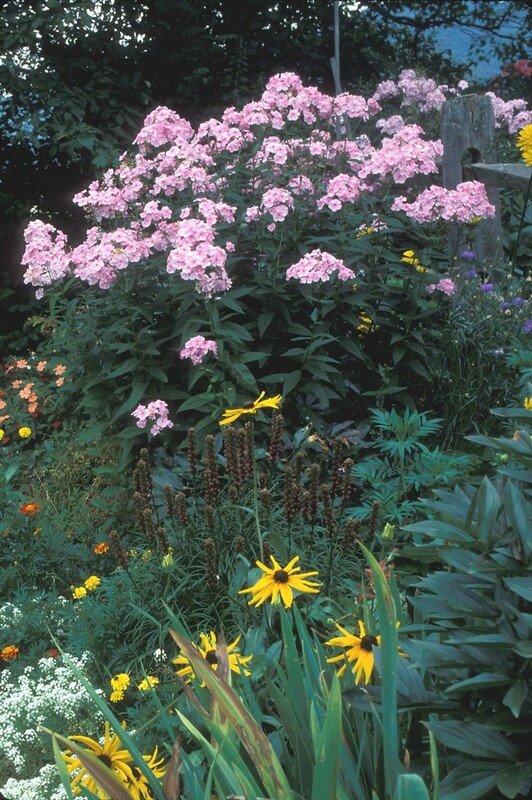 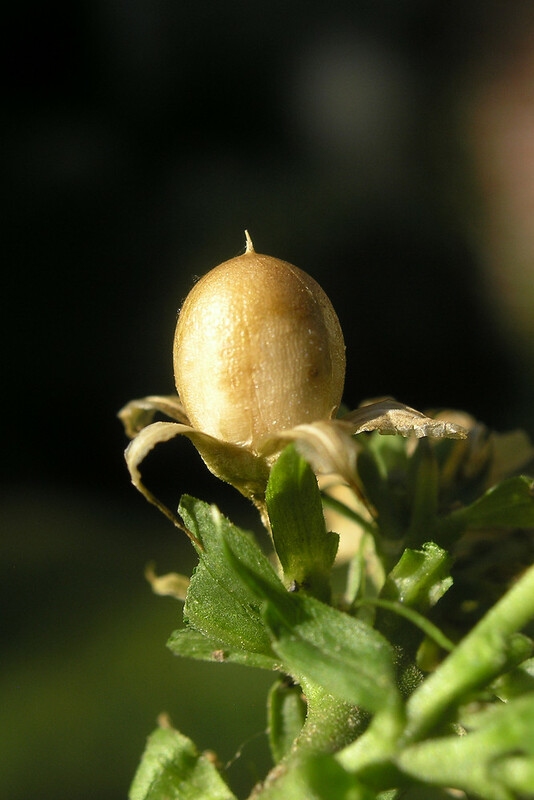 Although fall phlox is native to the United States, its range probably does not reach New England naturally, but as an escapee from cultivation. 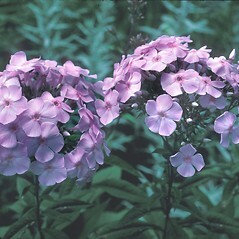 There are hundreds of cultivars of this popular garden plant, in colors ranging from white to deep purple. 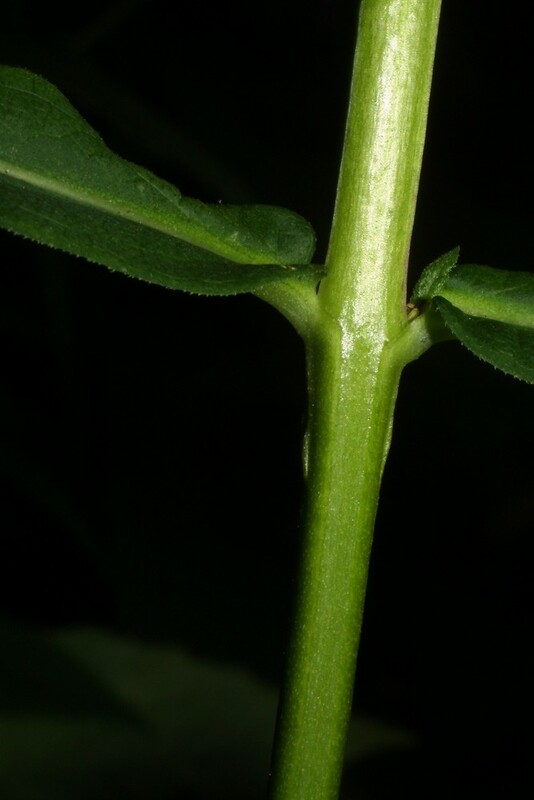 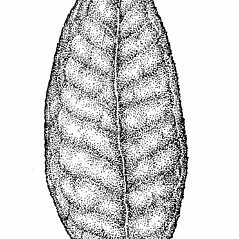 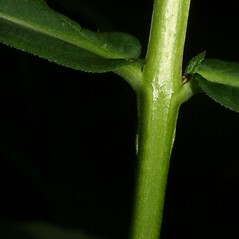 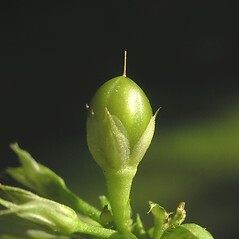 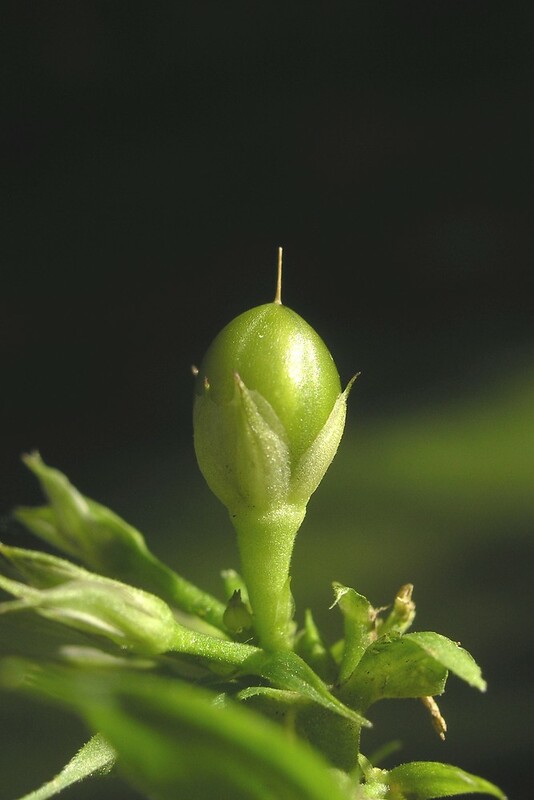 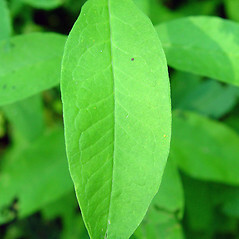 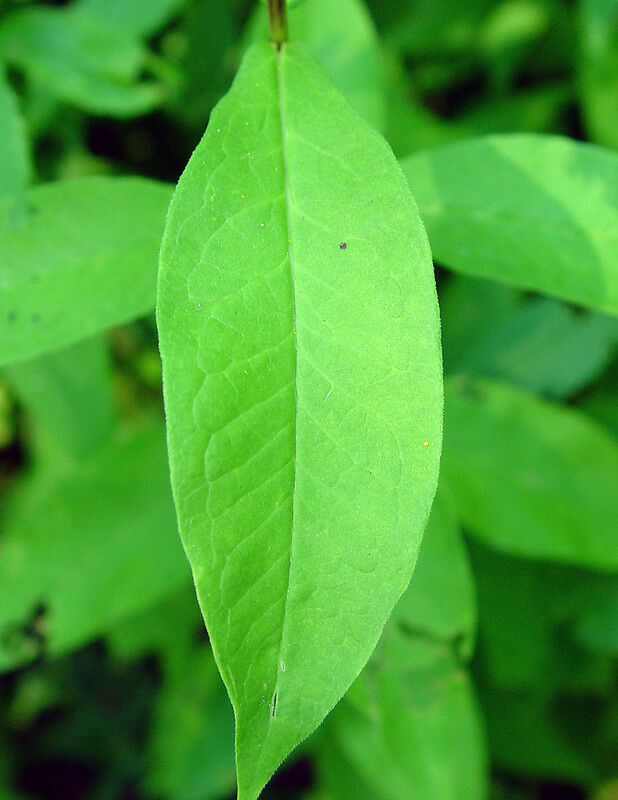 leaf blades eciliate on the margin, without a submarginal, connecting vein, and anthers yellow (vs. P. paniculata, with leaf blades ciliolate on the margin, with conspicuous lateral veins that connect near the edge to form a submarginal vein around the perimeter of the blade, and anthers pale yellow to white). 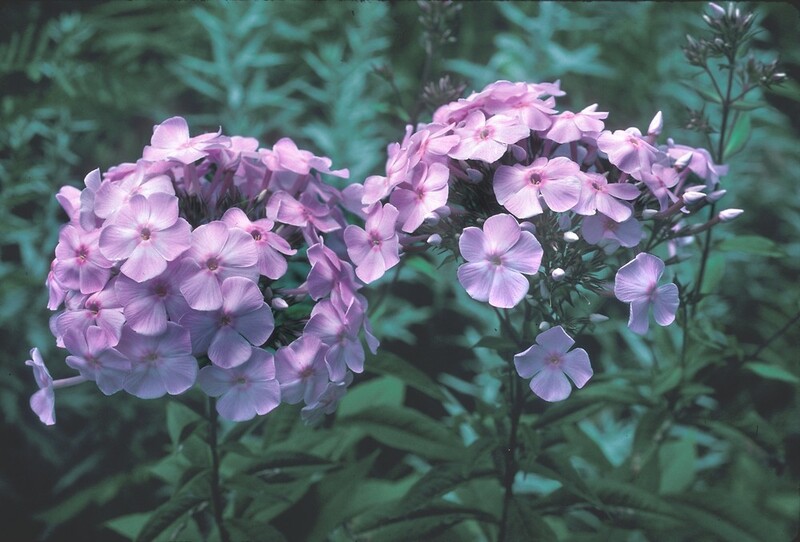 Fall phlox. CT, MA, ME, NH, RI, VT. Fields, roadsides, waste areas, gardens.